Paradise tropical island Ticao-Legazpi city with the most active Mayon volcano in the country-historical city of Naga with dozens catholic churches-complicated transport up north to Manila-crazy capital city- unbelievable Rice Terraces in Banaue. The Philippines was our third Asian destination where we stayed for one month from mid-September to mid-October. After spending 5 months in Nepal and 3 months in Malaysia, mostly working as volunteers, we came to the Philippines, the most Catholic country in Asia. The whole Philippines are composed of more than 7000 islands (Only Indonesia has more islands-around 17 000). According to several tourist guide books, the Philippines are quite unusual country of South East Asia and we, both with Peter, can only agree. I have never ever seen more practicing Catholics anywhere else than I saw in the Philippines. As we travel deeply in Asia, I have to say that religion is a way bigger thing in here than I was used to from Europe. I am talking about Hindus or Buddhists from Nepal, Muslims, Hindus or Chinese from Malaysia or Filipino Catholics, home altars, regular services in the temple and many more religious practices were held on a daily basis. As Christianity doesn´t have strict dress code as Islam or Hinduism, I was able to enjoy wearing shorts, skirts and spaghetti tops exactly the way how local women were dressed 🙂 It was really pleasant to have only a little clothing in the tropical climate after all those months when I had to voluntarily follow strict dress code in order to be respectful. When it comes to the Filipino men, they were often top less which was also very understandable in that heat. 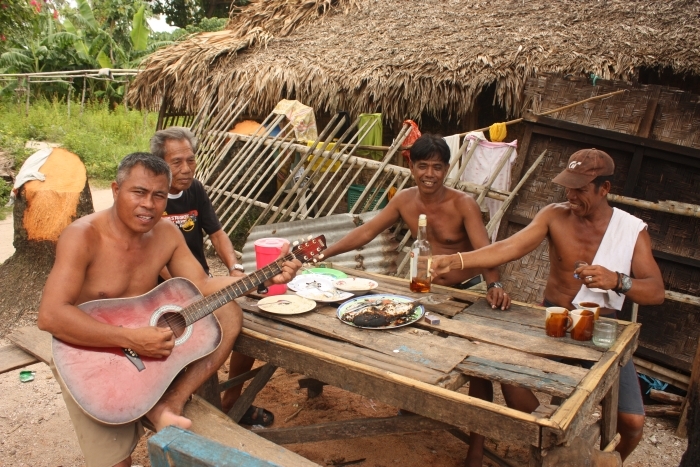 Filipinos are sometimes called Mexicans of Asia for their very friendly, sociable and sometimes noisy behaviour. Even the currency is called peso as in many Latin American countries. 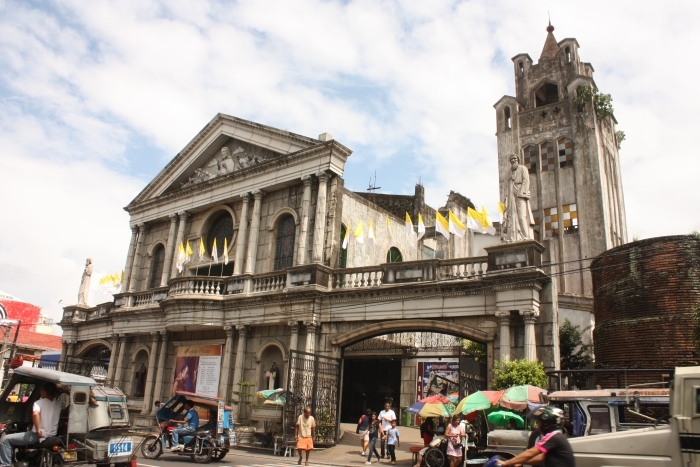 Catholic Cathedral in Naga City. More than 300-years of Spanish rule had a strong influence in religion. The whole island state is situated in a tropical typhoon zone and very destructive storms are unfortunately a part of the history of the country. One year ago, typhoon Haiyan, strongest storm ever recorded completely destroyed the central part of the country and it´s still very badly remembered. Filipinos overseas form one of the biggest diaspora in the world and simply can be found everywhere. For instance, here in Hong Kong, where we are staying right now are migrant workers from the Philippines employed in various services as maids or cleaners. 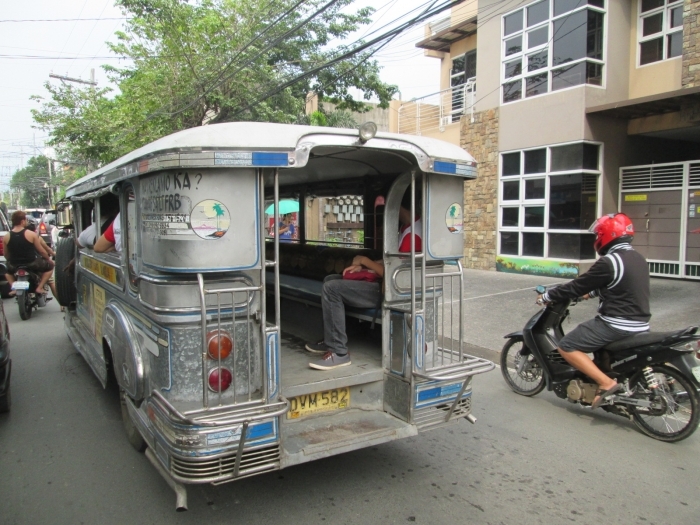 The Philippines is right-driving country as our home country Slovakia so we felt like back in Europe. After traveling in Nepal and Malaysia (both left-driving countries), we were again familiar with the right/left side of the steering wheel and passenger seat J Toilets are called „comfort room“ which is quite unusual! Our Filipino adventure started in a small Mactan island, where we landed from Kuala Lumpur. This island is part of Cebu City, second largest city where was killed Portuguese sailor Fernando de Magalhães, during his world tour. We left Cebu the same evening of our arrival for the night ferry heading north. Everything was arranged by Jaypee, our CouchSurfer with whom we stayed for the first 2 weeks in the Philippines. Overnight ferry was one super big vessel with trucks located on the ground floor and dozens or maybe even hundred bunk beds located on two upper floors as a super big open dormitory. Although the Philippines are a very touristy destination, we were the only tourists on the ferry because we headed to the non-touristy area. We both slept very well mostly because of our lack of sleep the previous night and the fatigue from the flight. We were forced to wake up early around 5am because the ferry arrived at that very strange morning time and later we continued by uncomfortable minibus for next 2 hours. 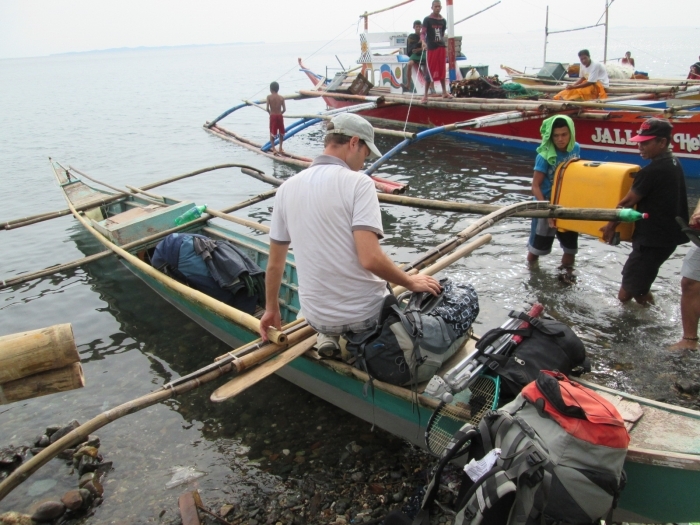 Then we switched the vehicles and we took a very very small and unstable boat (kind of outrigger canoe). During the whole ride I was seriously scared because waves were too big and our baggage was too heavy or at least I felt it that way. 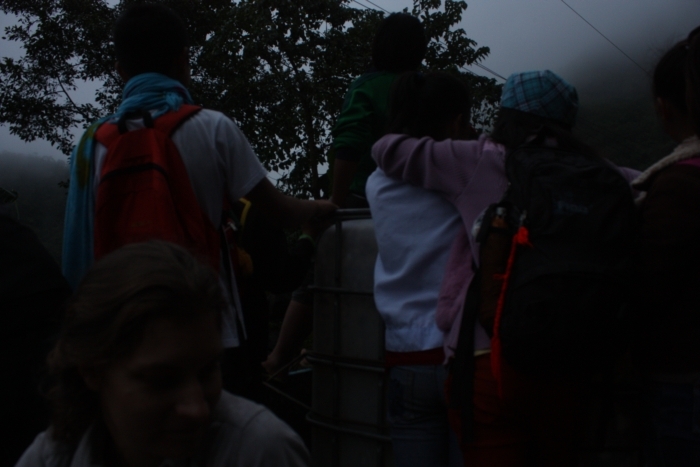 The boat drove us all the way to Ticao, our final destination. 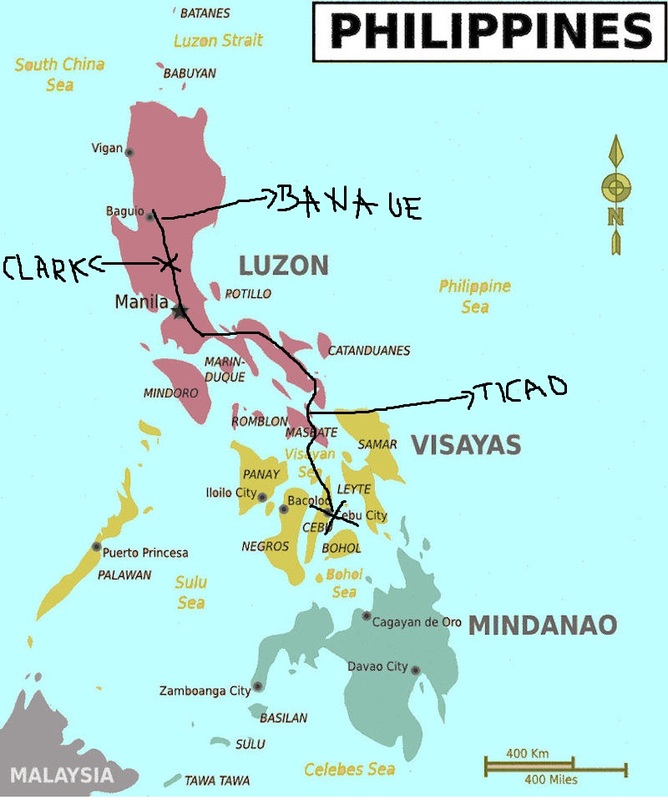 Ticao island is not that small (you can find it on most maps), but the village or rather barrio (from Spanish, quarter), how was the place called and where lives our CouchSurfer host Jaypee is seriously in the end of the world and it´s a tropical paradise island at the same time! It means, electricity was running only 6 hours a day (way less than in Nepal), there were no cars or roads and the only way of transport was a boat. Locals don´t know or don´t want to speak English even though text books for elementary students were written in English only. We were considered to be white Americans regardless the PowerPoint presentation we showed them about Slovakia and Europe. Our daily meals consisted of rice as a first ingredience (we are still in Asia, aren´t we?) and sea food (yummy!). One day, the pig was killed and we got pork for the next day which was quite a change because pork as a meat was not available in Nepal nor in Malaysia (religion rule). We stayed on the island for 10 days which were very similar. 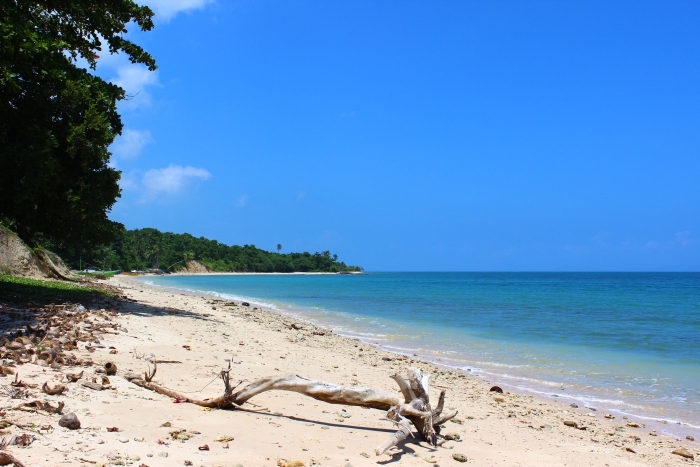 Swimming or snorkeling and observing amazing corals, walking around island palm fields and the jungle. Eating, shells collecting, listening (or rather trying not to :-D) to the karaoke which was everywhere. Karaoke is one of the most popular amusement activities in most Southeastern Asian countries. We also played with the omnipresent and very curious kids. 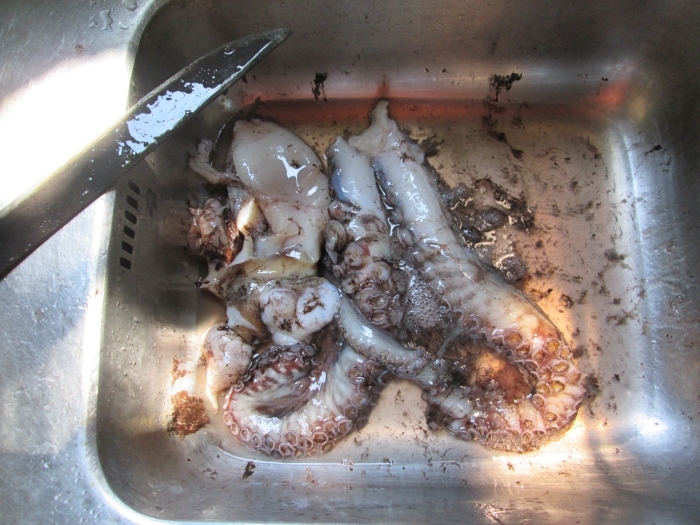 Octopus in the sink, ready to be cooked! 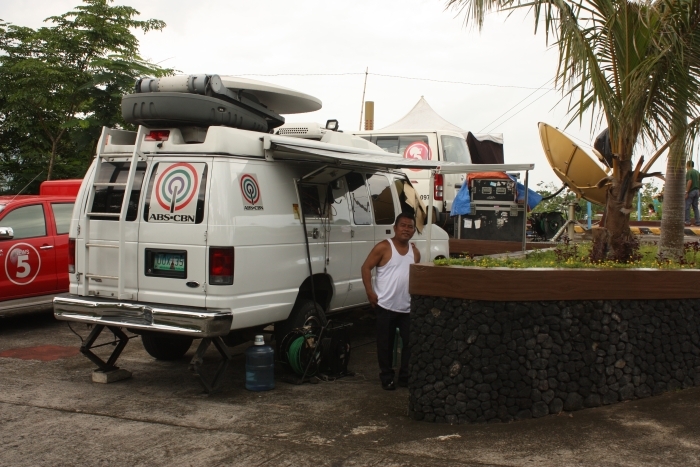 When we seriously started being bored on a paradise island, we aimed to the Legazpi city. The transport was again quite complicated. Firstly we took the same small and very feeble boat (outrigger canoe) and then it was a bigger one but still very feeble. The last part was driving in a very uncomfortable bus. Generally the buses can be non/AC which means without air-condition with super big open windows or buses with AC, which signifies super cold almost freezing temperature inside the vehicle. This is the regular thing is the whole South East Asia. Simply don´t forget to take warm clothes, blanket, socks and foodie for a longer ride! Waiting for a volcano eruption in Legazpi city. Not successful. Legazpi city is actually not touristy at all. The interesting place is nearby Mayon volcano (2,463 m), most active volcano in the whole Philippines which posses more than 40 active or dormant volcanoes. 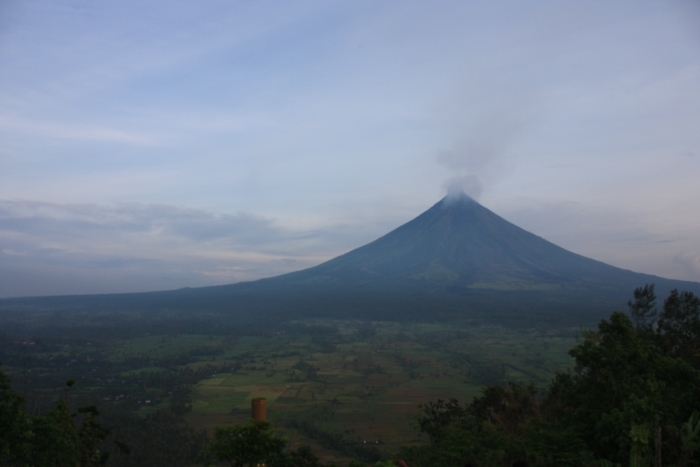 Mayon is eruption on a yearly basis in a small scale. Accidentally big eruption was predicted to happen during our stay (the beginning of October 2014). Thousands of people from risky areas were already moved into evacuation centers, there was 3rd level of activity and the city was allegedly full of eruption-addicted tourists. Maybe this was the reason why we extended our stay in the city, but when the volcano was not erupting, we moved towards the north. We stayed along with our previous host Jaypee by two nice guys Jopz and Christian, both young and successful entrepreneurs. It was very interesting to hear their volcano-erupting stories from their childhood times. The whole city became covered by ash and it´s discouraged to go out because of possible respiratory problems. The eruption itself was described as long-lasting thunder. So we stayed and impatiently waited for 5 days and then we moved up north. TV crews impatiently waiting for volcano eruption. Wasted time, eruption didn´t happen. We spent there 3 days and nights. After month of almost constant couchsurfing (in Malaysia and in the Philippines), we ended up completely alone without pre-arranged schedule in a quite nice hostel. We realised that this was exactly what we needed at that moment. Be just two of us for a while. During that first week of October we celebrated Peter´s birthday, my namesday and our one year anniversary so it was actually very well planned. Naga is a nice city located approximately 8 hours by bus from Manila. It´s mostly famous for huge cathedrals built in a very European catholic style, which offer mass services in several languages. Apart from official Tagalog language, also available in local Bicol language and English. (Tagalog is an official language but it´s used as a first spoken language only around Manila, everywhere else is used local language). So we happened to attend part of English mass service twice. 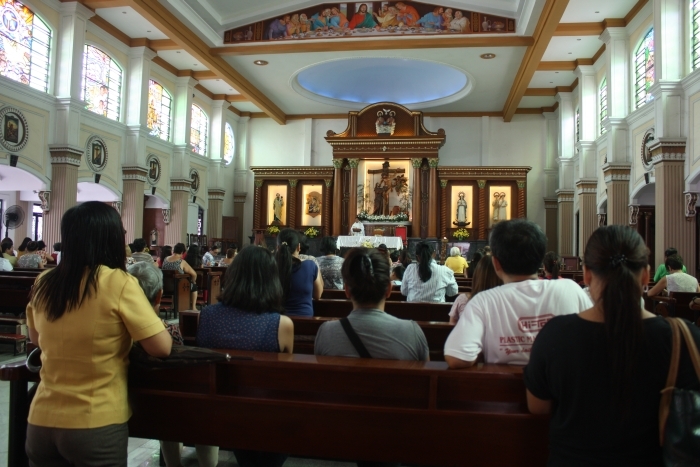 English mass service in Naga Cathedral. The monsoon was in full blossom and we got wet quite often, unfortunately all our belongings got wet as well and it just reminded us the situation from trekking the Himalayas in Nepal, when we got completely wet and needed to dry all our trekking gear (three T-shirts and two pair of pants). At that time, we thought it was the most disastrous thing what could happened. In the Philippines, the whole content of our bags was wet including electronics. Hopefully nothing was seriously damaged (we rather didn´t turn on our laptops for a few days). Briefly, we revaluate our whole traveling style during those days and realised, we needed to change something, because it was simply too much for both of us. We have to plan ahead more and always think about the alternative route. Yes, this is it! After all that chaos from transport and everything, somehow we ended in a paradise for 4 days. Or at least, it seemed to me like that J After tiring overnight bus from Manila to the hilly Ifugao region, we were in another world. The whole region lies around 1400 meters above the sea level so simply it was beautiful out there! 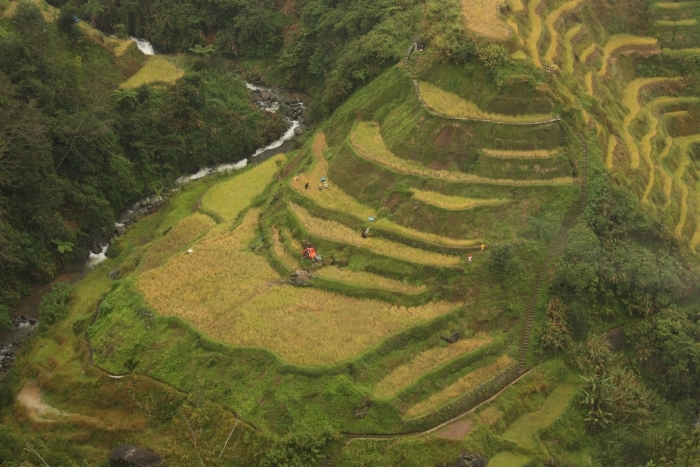 The mentioned rice terraces where the rice and other crops are cultivating for more than 2000 years were different Filipino sample. Hilly air, colder temperature, hilly people and completely different rice colour (purple). That was Philippine Cordilleras. Rainy season was present so we were wet every day but simple raincoats given by the owner of our guesthouse were very useful! Randy is a former taxi driver from Manila who decided to come back to his hilly hometown and currently run a small family guest house. 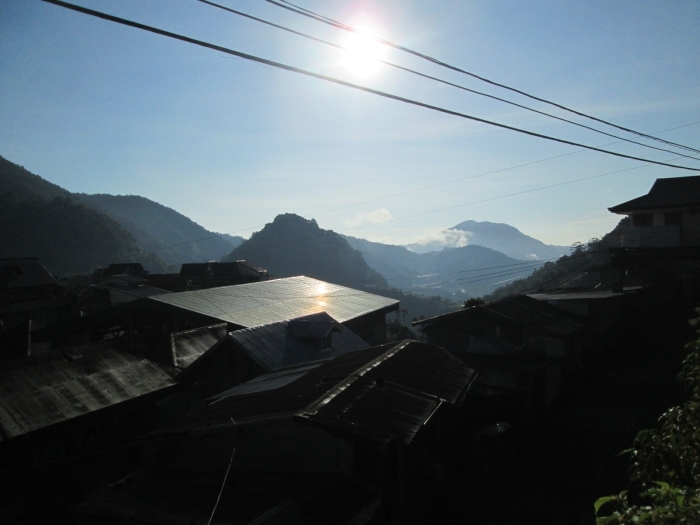 The prices are low suitable for backpackers J Hikes around the village are simply great! Exploring the rice terraces can be little dangerous when you decide to go directly into the hillside. The path is mostly very narrow and I had to again overcome my fear of heights. Apart from that, it was amazing! For the first and last time in the Philippines, we successfully hitchhiked here. The light truck transporting village kids from the school was eager to take us too 🙂 We happened to crash a wedding feast. We normally walked along the road and observedbeautiful hills with rice paddies and were thinking about some food as we were quite hungry. We entered the first restaurant on the road (it was outside the village with rare settlements) and asked for the menu. In the meanwhile we felt that we just crashed some organized gathering. They played live American country music. After a while we were served with a meals and drinks. So we tried local liquor (rice wine). Later on, we surprisingly discovered it´s a wedding feast. It was very a unconventional one. No one was really having formal clothes and the bride and groom didn´t even sit at the same table. Actually it was a pretty good party anyway! Crashing the wedding. This is dancing bride and groom. Apparently no formal dress was needed. Walking inside Rice Terraces. Those paths were quite narrow actually! 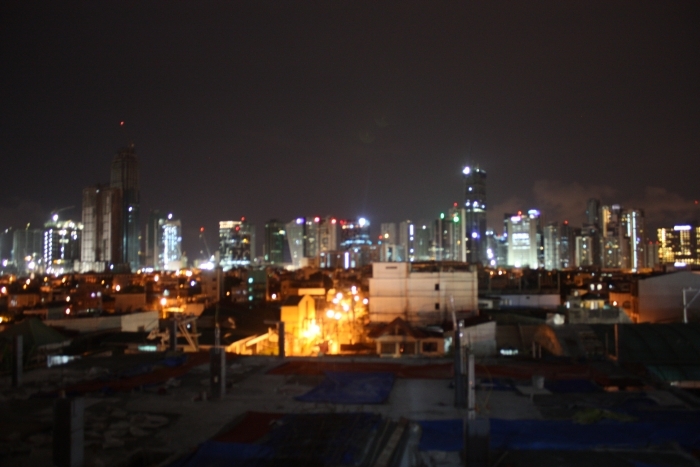 Manila, the capital of the Philippines is seriously crazy. Extraordinary traffic jams, noise, chaos and smog. Overcrowded subway, that you have to form a line in order to get to the train, but it rarely helps, you should simply push yourself in. Usually, the third train will be yours. 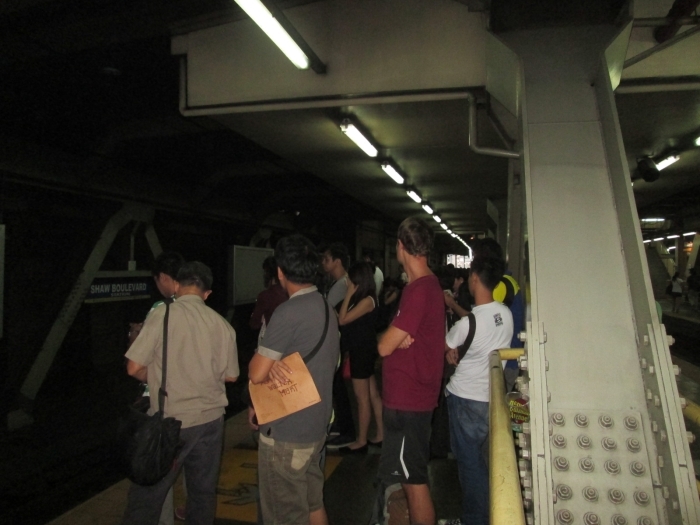 I am sure this is not happening 24 hours and not everywhere in Manila but this our experience. In addition to that, there are security checks when entering shopping malls and subway stations (it reminded me of Turkey and Israel). We visited one very interesting spot in Manila. Co-working space. Peter is really interested in this kind of sharing establishments for start-ups and young entrepreneurs and I liked it as well. 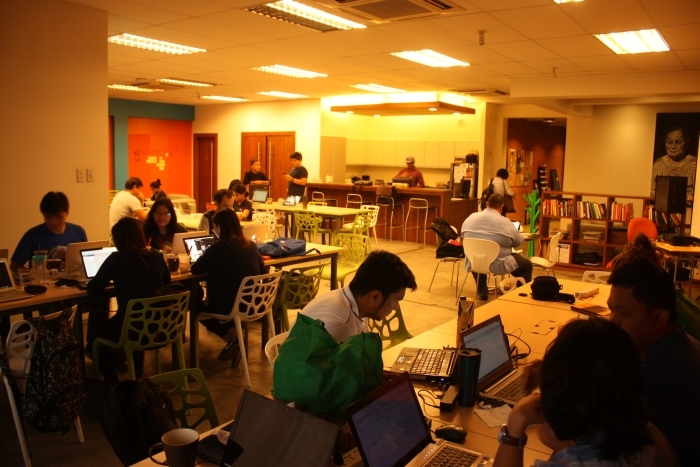 The place is called CO.LAB (http://colab.ph/#/home) and we stayed there just for a few hours as a free trial. If you are a member, you can get daily, weekly or monthly pass with unlimited beverages and other services. And the networking is starting now! 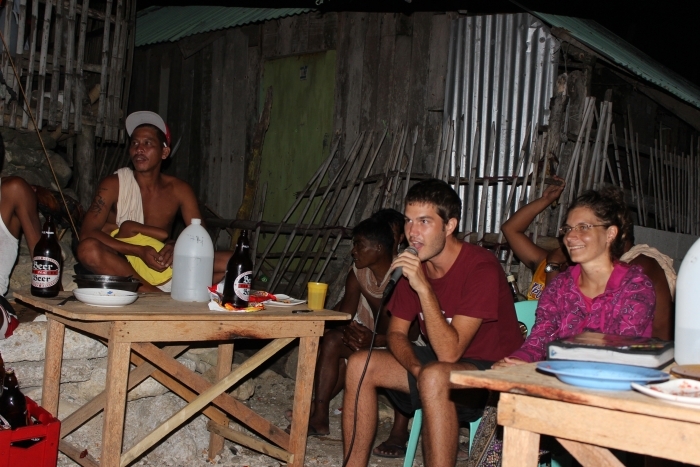 Our last Filipino night was with Rene, CouchSurfer living on the outskirts of Manila. he is very smiley and friendly guy working as a engineer in TV. Most of his extended family lives in the United States and he takes care of his old but very vital mother who was very eager to talk to us in her perfect English. They have a maid, who prepared super delicious food for us (this was my second CouchSurfing experience, when I stayed in a household with a maid-first time, it was in Mexico City in 2009). In the middle of October, we flew to Hong Kong, where I am writing this story. 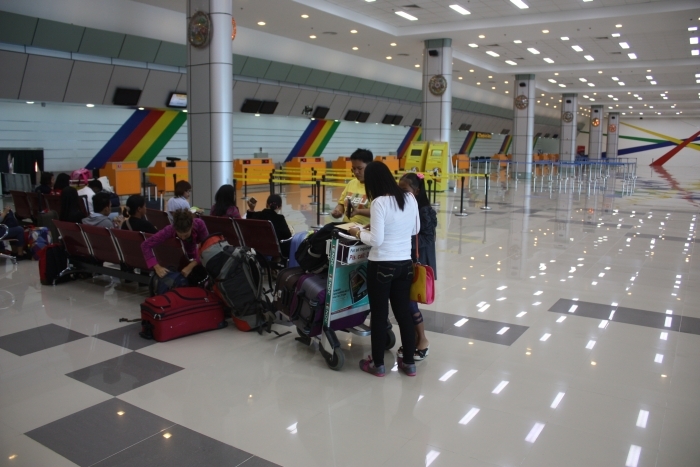 We departed from Clark International Airport, located two hours by bus from Manila. I haven´t been on a smaller and quieter airport. There were eight flights per day. Clark international airport. Seriously the most quiet airport I have ever seen. Eight flights per day. And this is the real end of the story, many thanks for your attention!